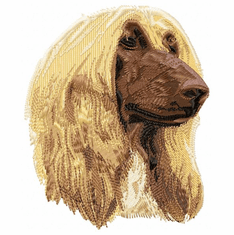 The Afghan Hound, one of the sighthound dog breeds, is otherwise know as Tazi, Kabul Hound, Baluchi Hound, Sage Baluchi, Ogar Afgan, Balkh Hound, or Barutzy Hound, and was first used to hunt gazelles, foxes, and wolves in the mountains of Afghanistan. 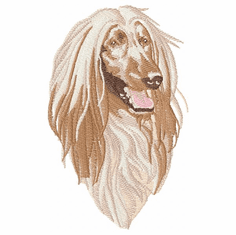 This breed has fine, flowing hair and a temperament that makes it a wonderful pet. 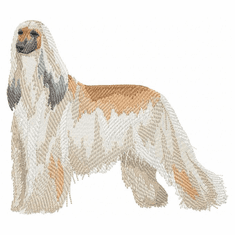 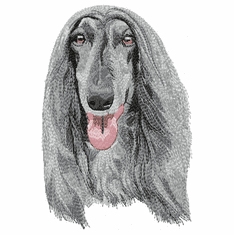 Whether it's hunting, lure coursing, or in the show ring, the Afghan Hound is always a stand out. 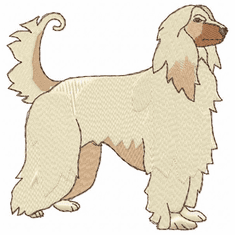 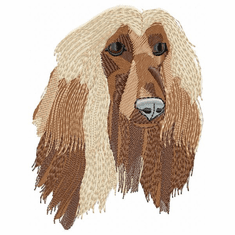 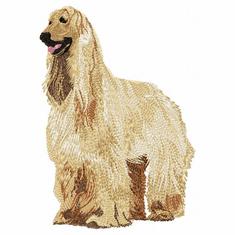 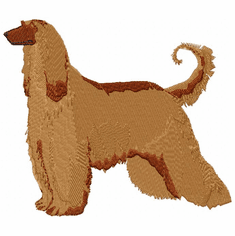 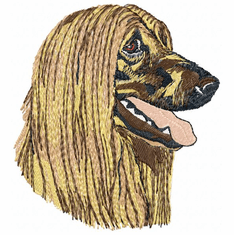 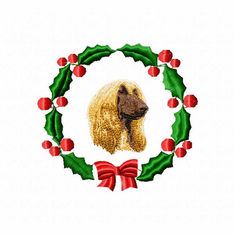 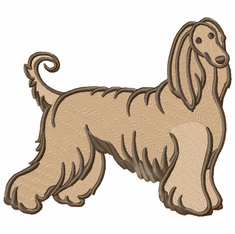 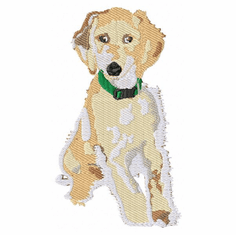 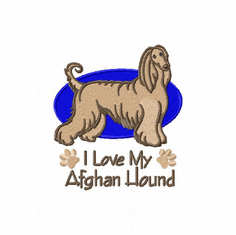 We have embroidery dog designs of the Afghan Hound available on a shirt, henley, cap, apron, computer bag, or even a Christmas stocking.